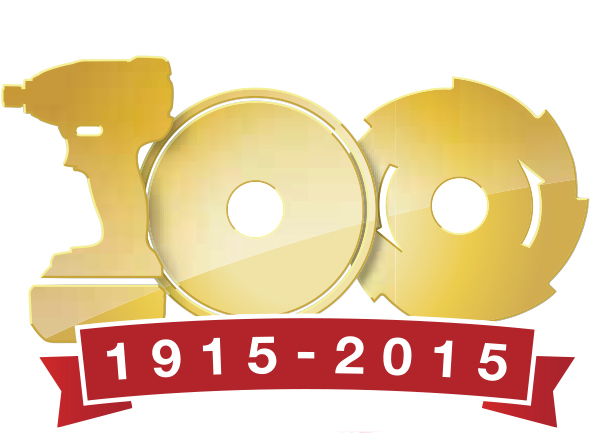 2015 will mark the 100 Year Anniversary of Makita. NOVEMBER 11, 2014 – Charlotte, NC – Two more industry milestones for Makita are fast approaching in 2015 with the company’s 100 year anniversary as well as the planned release of the 100th tool in the 18V LXT® line-up, the world’s largest cordless tool line-up powered by an 18V slide-style battery. The 100 Year Anniversary will be celebrated worldwide by Makita’s subsidiary offices and manufacturing/assembly plants, including Makita USA and the manufacturing facility in Buford, Georgia. More details on the Makita 100 Year Anniversary will be announced soon. Since 1915, Makita has been a leading power tool innovator. Today, Makita continues to lead the industry and meet the demands of the construction world with tools and accessories engineered to help make professional users more productive and meet high efficiency standards. Makita Tools deliver more power and more speed, with cordless tools that deliver longer run time and faster battery charge time. Additionally, ergonomics means more today than ever, so Makita delivers tools that are more compact with less weight and have lower vibration. Makita is focused on providing solutions never before seen in the industry, like 18V LXT® cordless tools with the power, speed and run time for the freedom to unplug the cord. It’s all about “NO LIMITS”. 2014 marked continued expansion and innovation with new Makita 18V and 18V brushless solutions, the world’s first cordless 7-1/4” circular saw powered by two 18V batteries, expanded Outdoor Power Equipment solutions (including cordless), the long anticipated release of the 2.0Ah and 4.0Ah batteries, enhanced Anti-Vibration Technology for select rotary hammers, and more. Makita knows that the most expensive asset on a jobsite is labor, so the less time a battery sits on the charger, the more time it’s powering the tool. This means more work and less downtime. The new 5.0Ah battery provides 65% more run time than the Makita 3.0Ah (BL1830) battery, yet delivers a category-leading charge time of only 45 minutes (twice as fast as a competitor’s 5.0Ah battery, which reaches a full charge in about 1 hour and 30 minutes). Makita® is a worldwide manufacturer of industrial quality power tools and outdoor power equipment, and offers a wide range of industrial accessories. Makita utilizes leading-edge technology and innovation to engineer tools that are more compact with less weight yet deliver industrial power and results. Makita's extensive line of cordless lithium-ion tools includes 18V LXT® Brushless Lithium-Ion, 18V Compact Lithium-Ion, and 12V max Lithium-Ion. Other best-in-class products include rotary and demolition hammers and saws equipped with Anti-Vibration Technology (AVT®), MM4® 4-Stroke engine power equipment, Super Joint System - SJS® grinders, miter saws engineered with Deep and Exact Cutting Technology (DXT®), Impact GOLD®, the New Gold Standard in Impact Driving, and more. Makita U.S.A., Inc. is located in La Mirada, California, and operates an extensive distribution network located throughout the U.S. For more information, call 800/4-MAKITA (800/462-5482) or go to makitatools.com. Follow Makita: facebook.com/makitatoolspage, twitter.com/makitatools, youtube.com/makitapowertools, instagram.com/makitatools. The MAKITA TEAL COLOR is the trade dress of Makita Corporation and is protected under common law and registered with the U.S. Patent and Trademark Office. The Makita Black & White color combination is the trade dress of Makita Corporation and is protected under common laws and registered with the U.S. Patent and Trademark Office. The new 18V LXT Lithium-Ion 5.0Ah battery reaches a full charge in only 45 minutes. The new Makita 18V Lithium-Ion Dual Port Charger offers the same category-leading charge times when charging two batteries at a time, and also has a USB port. The new 5.5 HP Gas Air Compressor has a “V” Twin style pump that runs cooler and provides up to 12.5 CFM at 100 PSI for faster recovery.